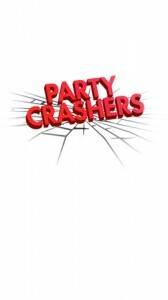 Party Crashers(official site here) is an iPhone app that lets you find, share, and create parties right in the palm of your hand! 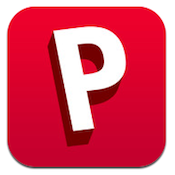 Why scour Facebook events to find a party to go to this weekend when you could use an app that gives you a dynamic picture about what an event will be like? Party Crashers allows users to search for “crashable” parties nearby, as well as set up their own “crashable” events. 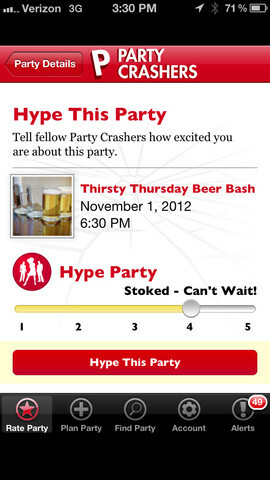 Users can also “hype” an event, making it easy for others to determine whether a party will be a snoozefest or a rager. Party info includes privacy (whether it is open to crashers or not), as well as what to wear, where to show up, any relevant themes, and even what kind of music will be played. You can also rate the party in real time, letting other know if the party is just winding down or finally starting to get good. There’s even a “celeb spotting” button to alert others when a famous person shows up at an event. 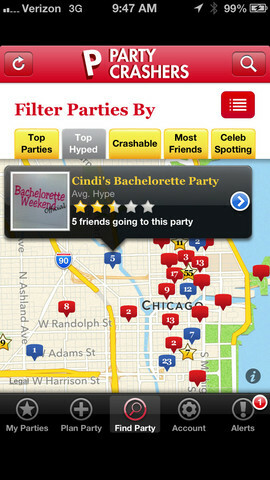 Once the party is over, complete a Morning After Report to Rate a party on everything from Epic to Buzz Kill. 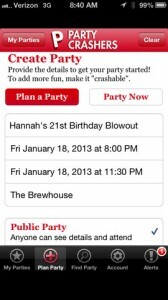 You can also see a history of parties your friends have attended or crashed. The interface is really solid, and simple to navigate. 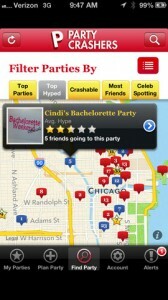 It is easy to filter search results to find a great party near you, meet new people, and blow off some steam. From students to budding club promoters, socialites to business owners, there are tons of applications for this handy party-ranking app. 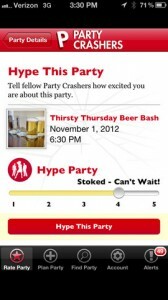 If you love a party, you need this clever app. It fills a whole in the app marketplace. 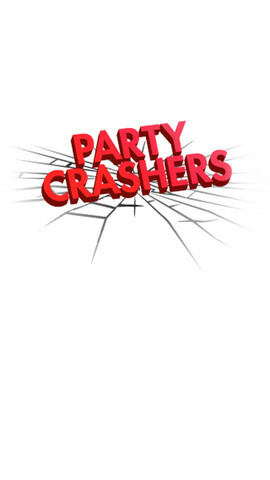 Party Crashers is compatible with iPhone 3GS, iPhone 4, iPhone 4S, iPhone 5, iPod touch (3rd generation), iPod touch (4th generation), iPod touch (5th generation) and iPad. Requires iOS 5.0 or later. This app is optimized for iPhone 5.